Dexter has been short on cliffhangers lately, so when one came in last week’s episode, in the form of a hazy Hannah McKay stumbling in on a sedated Dexter and Debra, I speculated a bit about what this week’s episode had in store. That’s the power a cliffhanger holds. It makes you wonder what’s coming next, even if you hated everything that’s come before. So I played with some scenarios in my head. Maybe Hannah would come back to reclaim her relationship with Dexter, or take Debra hostage, or announce that she’s pregnant with Dexter’s second child (or third, I suppose, if you want to count the incorrigible Zach Hamilton). What I didn’t expect was Water For Serial Killers. You see, Hannah’s new man Miles is a mean, mean man, all jealous and possessive and either evil because he’s rich or rich because he’s evil. 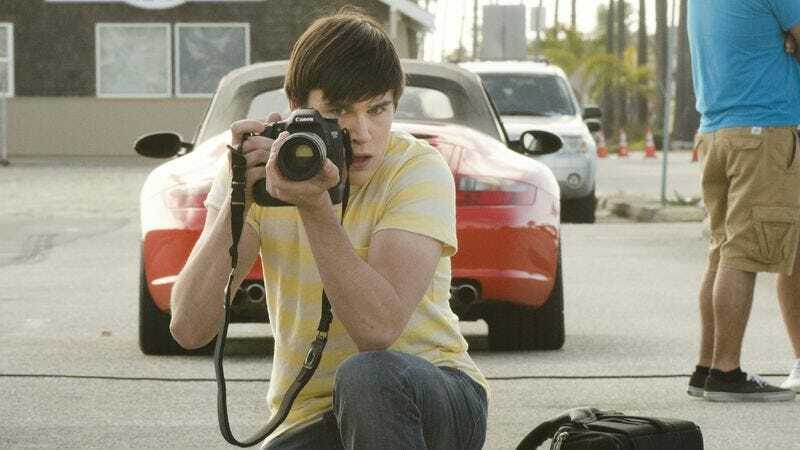 So Hannah hoped she could get Dexter to kill Miles for her, so she could have a better life… perhaps, even… a life with Dexter? Far, far away from this crazy serial-killer filled place called Miami? There are a couple problems with this of course, not the least of which is the fact that, as I recall, Hannah is herself a murderer. In fact, I believe she killed her victims using poison that was difficult to detect, making it easy for her to get away with her crimes. 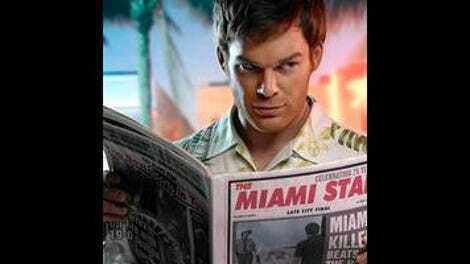 Yet, she needs to come back to Miami, the place where she’s most wanted, to contract the job out to Dexter. This kind of goofiness signifies we’re entering the fallow period that comes in each of Dexter’s latter seasons, the point at which boredom curdles into contempt. There’s enough time spent disengaged from the story that the nitpicking begins, the flaws become more apparent, and said flaws loom far larger than the show’s strengths. Given how much meandering there is in “Dress Code,” I still can’t believe the season is now more than halfway over with so little to show for it. That said, “Dress Code” did begin to tip the writers’ hand just a smidge. Unlike the silly episodes that preceded it, it began to hint at how the Miami Metro threads might start to weave together and where the characters could be headed. None of it is interesting, per se, but “Dress Code” made Dexter’s final season feel like it might be starting to add up to… something. And while I’m not terribly confident in what that something will be, I’m so tired of watching these characters spin their wheels with so little time left to tell this story that any kind of forward motion feels like an improvement. “Dress Code” found Dexter juggling his new role as a mentor in the Evil Big Brothers/Big Sisters program with the return of his erstwhile lady friend and the introduction of that mean, lowdown husband of hers, and there was steam and stench wafting off both stories. While I’m pointing out the ridiculous elements, there was an early scene between Zach and Dexter, in which Zach decided to pop over to Dexter’s place to have a heart-to-heart about that magical time in a young man’s life when he starts to feel urges that he can’t control. Dexter is pissed, for obvious reasons, as the two of them can’t be seen together publicly, in part because Quinn is still tailing Zach. (“He’s easy to lose,” says Zach, who wouldn’t be as proud of himself if he knew as much about Quinn as the audience does.) But rather than pull Zach inside to explain why showing up at Dexter’s apartment is a bad idea, he continues the conversation outside, where they are clearly visible. For several minutes. And the purpose of this is for Zach to be briefly introduced to Cassie, which is important, because later, when Zach shows up on Dexter’s doorstep again, a meddling Cassie talks to Zach and is later found dead in a pool of blood. This could mean multiple things, but none of them are narratively great. Perhaps it means Dexter was right about Zach all along; he and Vogel didn’t catch Zach early enough in his development to make a difference, and now, Dexter’s super-cute neighbor is dead. But it likely doesn’t mean that, because if there’s a show in which I don’t jump to conclusions about a murder that takes place off-screen, it’s this one. Dexter, let’s remember, is the show in which the main character uses voice-over to narrate the activity we can currently see him doing. It’s the show in which Ghost Harry periodically pokes his head out to make sure the audience knows what Dexter is going to do next. Subtle, it ain’t. So do I think there would be a missed opportunity to show Zach killing Cassie if that is in fact what happened? I’m feeling like that’s unlikely. So that means there’s another killer out there. Maybe the Brain Surgeon? Maybe Vogel? Maybe Debra? Maybe… Harrison? Who knows, but man alive, it’s really too bad that with five episodes left, one of Dexter’s biggest dangling questions is who murdered a character whose last name I don’t know. There’s such a hollowness to the story that at this point, I can’t even totally nail down what the protagonist is supposed to want other than to maintain the status quo at all costs. There does seem to be some swirling around at Miami Metro, however. Quinn is now especially pissed at Batista because he’s been told to ignore his uncharacteristically accurate instincts and stop following Zach. I’m thinking this is likely to make Quinn more adamant about proving Zach’s guilt, which would have ramifications for Dexter, Debra, and Vogel. It would have ramifications for all the characters really, but it would require Dexter getting caught which, even now, is a trigger I’m not sure the writers have the chutzpah to pull. What’s happening with this show? Masuka’s conversation with his daughter was… y’know, weird. And is stripper to lab tech as easy a transition as they’d have me believe?